Remarkable POS solutions for retail, grocery, and restaurant. Power up your pharmacy processes with Catapult and propel your profits. It’s becoming increasingly challenging for pharmacies to remain competitive in the fast-changing healthcare industry. Complexity and costs are rising. 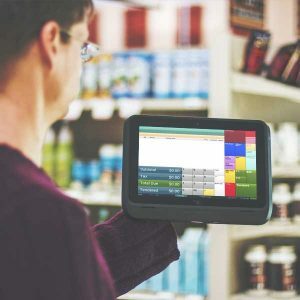 Catapult overcomes this complexity by streamlining communication and data transfer between point-of-sale and pharmacy systems via bi-directional pharmacy integration. This integration is available with many of today’s leading pharmacy management systems*. Users can expect faster, more convenient customer checkouts, accurate data and reporting, elimination of the need for multiple signature capture devices, and enhanced functionality. *To verify that integration is available with your pharmacy management system of choice, please contact us today. 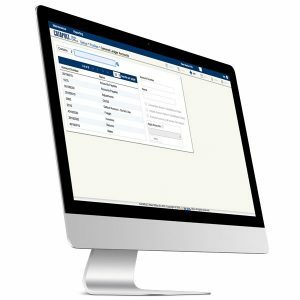 ECRS Gateway platform provides a real-time, two-way interface between pharmacies and suppliers. The resulting technology enables them to automate front-end management and inventory control. Communicate directly with suppliers and easily place purchase orders with one click, and then electronically submit them. PO transmission, electronic receiving & invoicing, and automatic price updates all move through the system in real time. This helps pharmacies manage the most time consuming tasks of front-end inventory replenishment and ensures sales are not being lost due to out-of-stock items. As every successful independent pharmacy owner understands, resource maximization is more important than ever. Resources should be focused where most needed, not wasted on doing manual tasks such as inventory counts. Catapult analytics easily detects dead or slow moving stock, or when there is a “run” on a certain item. This ensures extra stock is not being ordered and that additional items needed are ordered. Track prescription movement with the Catapult Rx Server. You can also access your current database and view all purchased prescriptions. Additionally, when you scan one prescription and see all will-call items for that patient and their approved/associated family members. With our mobile POS solution, pharmacists will be able to process transactions on the go. Our mobile POS is ideal for credit and pharmacy transactions (HIPPA compliant). Our POS solutions can be used to process prescription transactions at the drive thru or during a delivery. The system automatically syncs up, sending completed transactions up and bringing new pricing down, as soon as the connection is reestablished. Customer receipts can be printed, stored within a customer’s account, or e-mailed. Mobile POS comes standard with P2P encryption for card processing security. Pharmacies use the back office management functions in Catapult to automate formally manual processes. This allows employees time to focus on tasks that will make their store a success, like customer service. Users can also pull detailed transaction data, including electronic signatures, in seconds. Financial information is also easily accessible allowing managers to make informed business decisions. With over 300 pre-built reports established from best practices as well as customer requests, you will gain the insight you need to better run your business. Each report can be filtered by endless data dimensions. With Catapult Dash™, a live visual intelligence dashboard, you can quickly see your most important data elements in graphic form with drill-down capability. 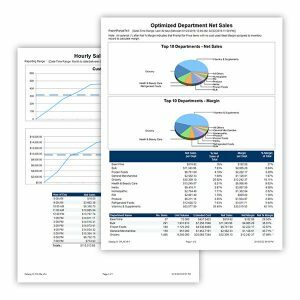 Our POS software can run reports by product and department so you know what brands and what items are driving your sales – scalable from a few store locations to hundreds. Catapult’s comprehensive back office management tools enable executives to conduct employee audits, track performance, productivity, and monitor labor costs. Monitor performance and value to hold associates accountable and guard your bottom line. Catapult also features a General Ledger plug-in that can quickly translate worksheet and transaction data from your store[s] into credits and debits for your double-entry bookkeeping system. The General Ledger interface saves many hours of expensive, skilled accounting labor by harnessing your existing data to get the job done quickly and easily. Pharmacy operators need customer “stickiness.” Customers can easily take their business to big box stores down the street, unless you focus on providing incentive and value for the customer. With Catapult your discounts, dynamic promotions, rewards programs, and other transactional processes work to give you an edge, and they all work in real time. In store and online, your customer relationship management tools all work in unison. LoyaltyBot® lets retailers to set up marketing campaigns that automatically provide patrons with rewards based on specific automated triggers. Best of all, it is easily customizable. Retailers can create digital coupons using criteria that they choose. These eCoupons can be tracked in a customer’s associated loyalty account, and automatically applied, speeding up checkout times. Loyalty points offer a powerful incentive. Shoppers accumulate rewards based on their purchases, encouraging them to increase visit frequency and the amount that they spend in your store. Our self-hosted, easy-to-use gift card system offers reusable gift cards and gift amounts can be added quickly at the POS by authorized personnel. They are easy to redeem as a tender option can be used to process refunds in lieu of cash. Third-party gift card system integration is also available. © 2019 Armagh Cash Register Ltd. All rights reserved.